A woman’s chef coat should be designed to fit a female chef’s body—tapered waist, the right fit across the shoulders, proportional sleeves—so she won’t feel like a woman in a man’s suit. Aprons and Smocks’ Women’s Chef Coats are made to fit a woman’s torso and that also means made for comfort to move with her throughout the entire day. The right fit means something for appearance, too because a suit that fits well denotes professionalism and competence. Sizing for women’s chef coats is available in small through 3XL—so the perfect fit is not just something to imagine and dream of—it’s a reality. If a woman’s chef coat fits well, she feels better about everything in the kitchen. 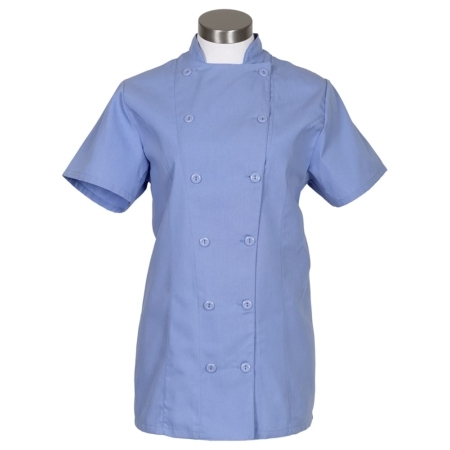 Women’s Short Sleeve Chef Coat, inceil blue, lime, mango, red, raspberry and white. Both coats are also available with customization options of embroidery or screen printing. Finish off the professional look of these coats with neckerchiefs [insert link to lower on page] in burgundy, hunter green, red, royal blue, and white. 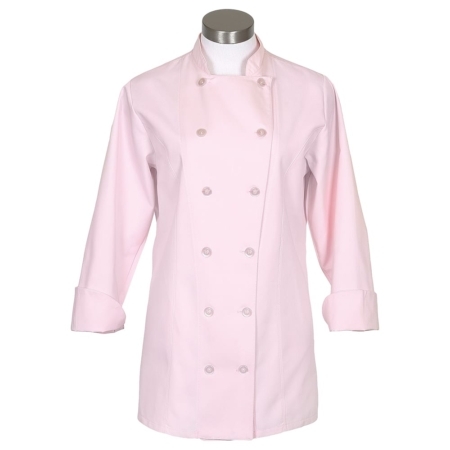 Both styles of these women’s chef coats are made from a 65/35 polyester cotton blend to provide comfort, easy care and durability. The high quality fabric is something women will notice about these coats. The ample thread count and fabric weight holds its shape better, stands up to numerous washings and dryings, and ensures that colors don’t fade. 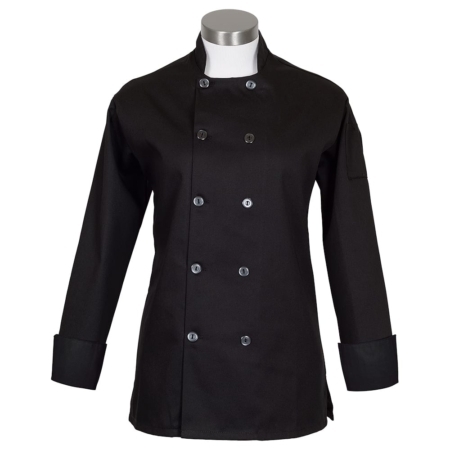 Women’s chef coats—designed for women—are the coats that women enjoy wearing in the kitchen. 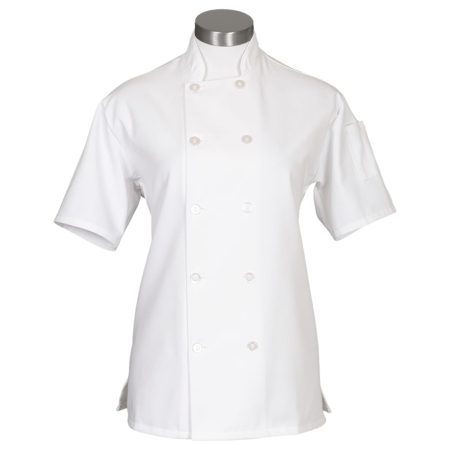 Explore our many options for quality women’s chef coats and then give us a call for pricing. Wholesale discounts are available for bulk orders.